I was visiting Lopen Pemala at his home in Bumtang. Lopen was for many years the spiritual advisor to the royal family. 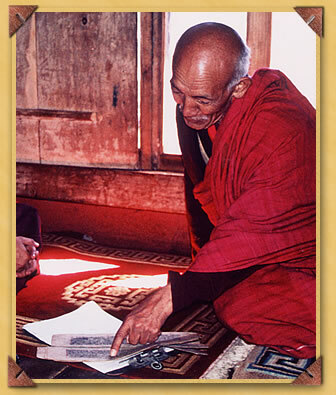 He is a great meditator as well as a great scholar, and is responsible for developing Bhutan's written language. That's no small accomplishment. 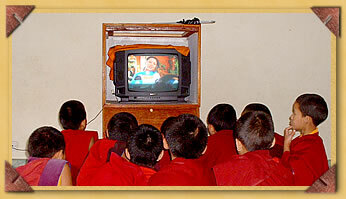 Before this there was only an oral tradition in Bhutan. Here Lopen is clarifying some important historical texts for our translators and friends. Lopen Pemala is an invaluable resource, and a national treasure, and has offered his support to the cultural center project. But this is the end of the innocence. This is the end of the innocence."